The way to Karagiozis may get you exploring the west part of Athens in Ilion where Karagiozis tavern is hidden in a small street off the main road. I first visited a few days ago and upon entering a cosy feeling of warmth hit me despite the kind of massive space of the main room. A tucked away fireplace burning at the far left of the main room was more than inviting and the night was still young so we sat close and were soon greeted by the family members of this restaurant that’s been running for 40 year snow. Wooden tables, clean tablecloths and a very traditional setting made us all feel fuzzy especially with the cold outside getting us ready for a nice feast of meat! Apparently the place gets packed during weekend, hence the size of the room, but luckily we were there on an early weekday evening. 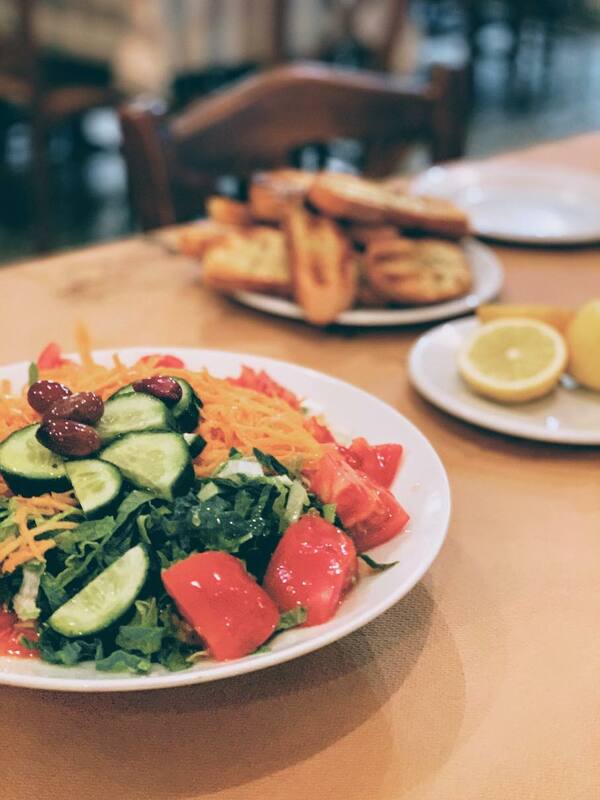 First things first, starters included the usual suspects of salads -a very tasty and fresh green salad with carrot and tomatoes by the way- and nibbles in the likes of kontosouvli and kokoretsi. The meat was both tender and crispy on the thin parts of it - both were spectacular! 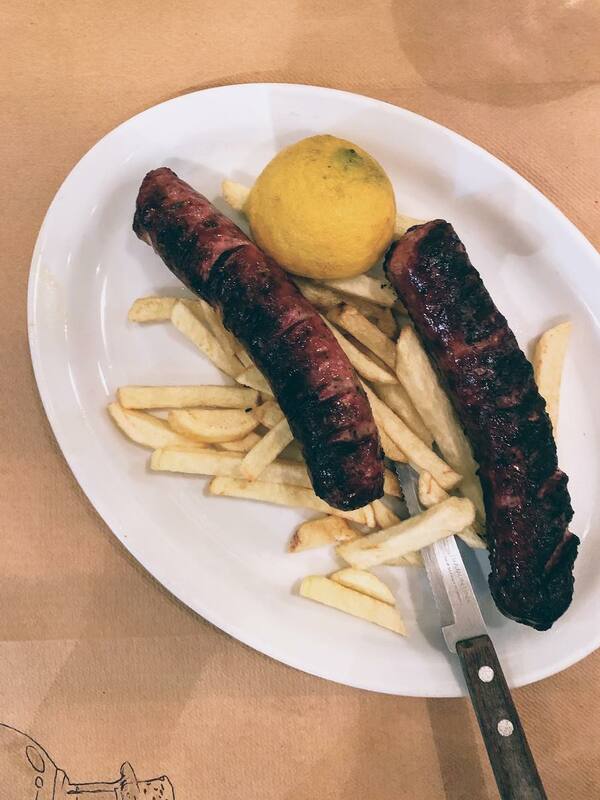 The pork sausage was also very tasty albeit a bit heavy! Despite the looks of it, we tried playing it a bit light with a nice portion of grilled chicken breast covered in a light mustard sauce - very yummy! Finally, we dug in to the main course and one of the place’s specialities: the lamb chops (aka paedakia in Greek!). A splendid array of thinly cut chops coming from locally sourced produce. All in all great hospitality by the kind family running this place for decades now, and a nice getaway from all the crowded and upscale steakhouses of the city. It may be closed on Mondays and Tuesdays but we’ll surely be coming back any other day of the week! If you’re close enough you may be lucky to get their delivery service to your door, although visiting this cosy place is definitely an experience on its own!